Let's think on practice nights what dates can people make for 2019 ? The Club was formed in 1988 by Mr Bob Dawe.He placed an advertisement in the local paper, The Brecon and Radnor to find out if there was any interest, to which there was a good response. 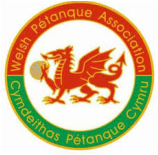 Bob had previously started a Petanque Club in Wenvoe which is still going strong to this day.He then wanted to concentrate on the Brecon Club. The old name was known as the Blue Boar and had a lot of help from John & Barbara who were the owners. Bob was declared the first Chairman of the club, with Austin Jones being the Club Captain.Once the Club was established we become affilated with the Welsh region which is based in cardiff. We then became known asThe Blue Boar Petanque Club.We grew as a team and were instrumental as one of the sides in founding the Marches Petanque Leaque which is still being held today. John & Barbara eventually sold the Blue Boar which is now been taken over by Brecon RFC.Which is why we are now known as Brecon RFC Petanque Club. The leaque is played every wednesday night during the summer months and is most enjoyable being,with being so close to the English Border the team was lucky enough to play in this Leaque. The Rugby Club have Been 100% supportive towards us and we are extremely grateful with the help & support that we have had. We hope to have this support for many years to come. Brecon RFC Petanque Club has been lucky to hold The Celtic Challenge Tournament(players from Scotland, Ireland and wales) three times.